To learn to read the child must understand a process that involves sensory, emotional, intellectual, physiological, neurological as well as cultural, economic, and political aspects. Reading is the correspondence between the sounds and the graphic signals, through the deciphering of the code and the understanding of the concept or idea. Reading difficulties can occur in a variety of ways during the learning process, and acquisition of this is an extremely important factor in favoring future knowledge. 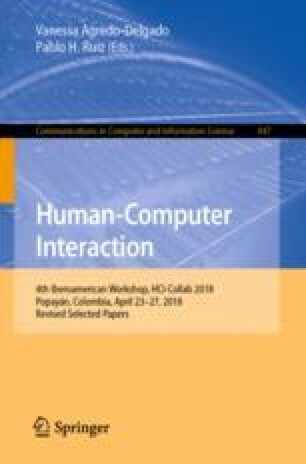 The purpose of this paper is to present an application based on two different approaches - conventional (mouse/keyboard) and non-conventional (gesture) interaction (using Kinect device) that allows to assist children in the reading process. The application is a game focused on three storybooks for kids. Details about the development approach (requirements analysis, project, implementation and tests) used are presented. We also present a usability test for conventional and nonconventional devices with 15 children in the literacy period.